We are here to make your Journey with Rummyculure a memorable one & in our culture when a relationship starts we exchange gifts & blessings. As a token of gift from our side we make this most beneficial for our players so that they can make the best out of it. We will make equal contrition same to your first deposit amount as Bonus. Which will be credited after every game & you can use it for your next game. So make the most out of it & don’t miss out on anything use code – Culture while adding your first deposit on rummyculture.com from your lobby page. Player will get bonus Upto Rs 2000 & the validity of the offer is till 30th Nov. This Offer is valid only for the first deposit made by players on RummyCulture & would have used the code “Culture” while doing the add cash. Validity: The offer is valid only till 30th Nov 2017. Offer value: 100% Bonus amount up to a maximum of ₹ 2000 when a player Adds Cash for the first time. E.g. 1: If you add ₹ 2000, the maximum that you will be eligible for is ₹ 2000. E.g. 2: If you deposit ₹ 3000, the maximum you will be eligible for is ₹ 2000. Minimum cash to be added for availing the is ₹ 100. Maximum Bonus amount is ₹ 2000. Disbursement of Rs 2000 Bonus: It will be disburse after each game that you play on Rummyculture.com. For instance, if you add ₹ 2000 to your account, you are eligible for a total Bonus of ₹ 2000. 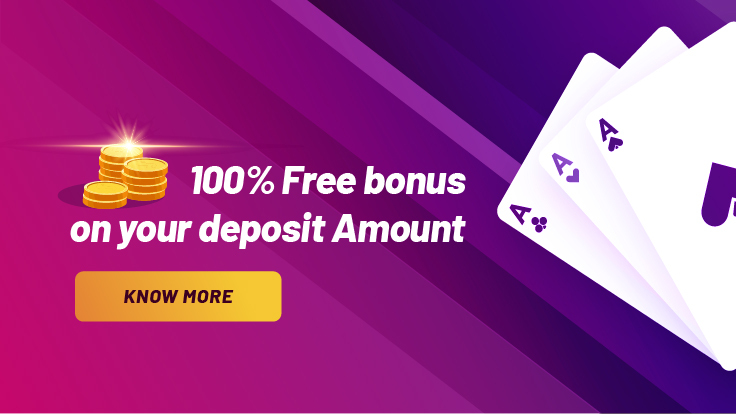 You will start receiving your bonus right after your first game, The bonus will be 10% of what you have played for an aggregate entry fee of the cash game For example If you entry fee of game is Rs 100 that you have chosen to play the bonus will be Rs 10 that will be credited as chips . Once you play for another ₹ 100 entry fee game, we will credit the second Bonus of Rs 10 to your account, and so on till a maximum of ₹ 2000 Bonus has been added to your account. No additional value of ₹ 2000 will be added after the Claim Period.